Jane and her sister Melody vie for the attentions of eligible men, and while Jane's skill with glamour is remarkable, it is her sister who is fair of face. When Jane realizes that one of Melody's suitors is set on taking advantage of her sister for the sake of her dowry, she pushes her skills to the limit of what her body can withstand in order to set things right-and, in the process, accidentally wanders into a love story of her own. 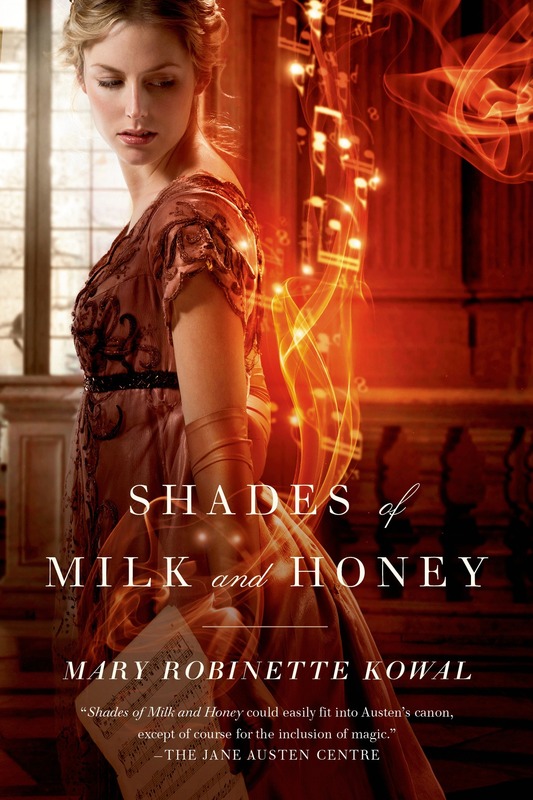 “If Jane Austen had written a fantasy novel, Shades of Milk and Honey would have been the result. Written with painstaking attention to detail, Kowal's prose is serenely evocative of the time period, and the fantastic elements are a seamless fit. The characterization is extremely well done and Jane is a sympathetic, strong and intelligent heroine whose devotion to her family trumps nearly every other concern. Give this one a try!” —RT Book Reviews, 4 ½ stars, Top Pick! Mary Robinette Kowal was the 2008 recipient of the Campbell Award for Best New Writer and a Hugo nominee for her story "Evil Robot Monkey." Her short fiction has appeared in Strange Horizons, Asimov's, and several Year's Best anthologies. Mary is an active member of Science Fiction and Fantasy Writers of America and currently serves on the Board of Directors. A professional puppeteer and voice actor, she grew up in North Carolina and spent five years touring nationally with puppet theaters. She wrote Shades of Milk and Honey while living in Iceland and performing on the hit television show Lazytown. Mary currently lives in Portland, OR with her husband Rob and nine manual typewriters.